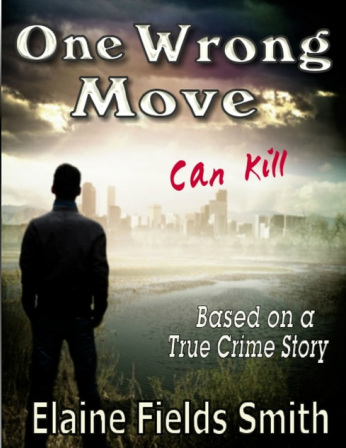 Elaine Fields Smith’s extensive research into the 1991 Capital Murder trial of Genero Camacho, Jr. is reflected in her novel, One Wrong Move Can Kill. Her research is taken from interviews and the wealth of information she found in the actual court transcript. Her interest in this Texas crime was instigated by her wondering about a person she knew who was involved. Character names were changed to protect the identities of those who wished to remain anonymous. This true crime novel details crimes that are completely fact based where characterizations, backgrounds and dialog are the tools Elaine Fields Smith used to create this hair raising and disturbing tale. This novel takes you to the places where the various crimes took place and makes you feel as if you are there with the culprits and cops. What happens when a drug deal goes bad? Mayhem ensues. When a dealer does not pay the narcotrafficker for drugs he sold, he and his family are put into dire jeopardy. There is the essential chase by all involved and the final catch. Then, the trial. You don’t want to miss this exciting story, whether you were in the North Texas area when it happened and you want to read about what you missed or if you were not there and just like true crime novels. Elaine Fields Smith is an author/publisher living in Central Texas. A non-tattooed lady motorcyclist, dog lover, and horticulturist, she, even after all these years, still drives a fast car and loves to go ridin’ around. She describes herself as “a Texas native born to Missouri and West Virginia hillbillies, my roots run deep. Friends are very important to me and play a pivotal role in my writing...” She lives in Central Texas with a husband of more than 32 years, four dogs, two cats and 82 acres, life is good! Ridin' Around--Taillights in Chrome, 8-Tracks on Wheels by Elaine Fields Smith is a trip down memory lane for several generations. I used to drag the strip around my hometown. In my day there were no 8-tracks, but we did have the radio and our favorite DJ’s and stations. My son later rode around in another small Texas town with his cassettes and favorite DJ’s and radio stations. Ms. Smith has created a nostalgic trip down memory lane reminiscent of her own personal memories. The story centers around a group of university students in a small Texas town called Dairyville. They have the normal lives of young people who are searching for themselves and enjoying the college life. The main characters are primarily college students and local kids. Some of the participants are even high school age. There are several funny and serious stories about revenge and retribution. One of the funniest ones has to do with how the ‘good girls’ got revenge on a high school girl who egged the car of one of the ‘good girls’. They got specially made ‘burrito bombs full of onions and sauce from the local taco house and bombed the offending girl’s car. Then, for further protection, the next day they armed themselves with water balloons filled with colored water to fend off any more attacks. As the saying goes, ‘Ya’ had to be there’. Reading the book will make it come to life for you. You may also like some of the other escapades that are described with such a funny vent even better. ““I don’t think anyone saw us!” Candace stated happily. Ms. Smith does have an underlying plot that involves a romance, used to tie the story together, but the main thrust of the novel is the ‘adventures’ of riding around town and the interactions of the players that will take you ‘ridin’ around’ memory lane with style. Elaine Fields Smith describes herself: “A Texas native born to Missouri and West Virginia hillbillies, my roots run deep. Friends are very important to me and play a pivotal role in my writing….